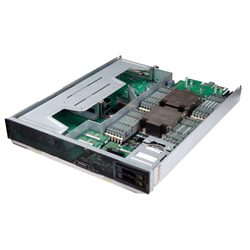 Huawei’s CH221 I/O Expansion Compute Node provides high-performance graphics processing, scalability, and cost-effective large-memory capability. Graphics processing for applications such as oil exploration, animation rendering, scientific computing, and seismic processing requires this high-performance node. It also provides superior scalability and an outstanding memory capacity. 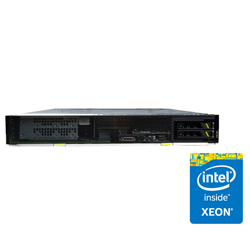 Intel® Xeon® Processor E5-2600 and E5-2600 V2 series provide up to two 12-core, 2.7 GHz high-performance processors per node. 24 DDR4 DIMMs — at 1.5 times the usual height — apply mainstream granules and double memory capacity up to 1.5 TB, providing the highest cost-efficiency for large-memory applications. Nodes include efficient, secure power consumption analysis and control capabilities, including power-off mode, and Intel® NM 2.0 compliance.